I always struggle to revive my skin after the harsh early months of the year, and before Spring allergies inevitably set in. It’s an awkward phase, but if I’m going to be red-nosed and swollen, I’d at least like my skin to look its best. The thing is, by now I know which products I can rely on to revive my skin. I always strip back my routine to a few essentials for a little bit, before I add new products to my routine, because that’ll give me a better idea of what I need to. So this is my line-up when I’m in dire straits. Well-rested, plump, and radiant looking skin for me, starts before I go to bed. The most important thing is to take off the day entirely, and I can’t do without Oskia’s Renaissance Cleansing Gel for that. My skin feels hydrated after I’ve cleansed, without any residue left from its oily texture, and it removes every trace of makeup. Toner is my favourite part of my routine, and Eucerin’s Clarifying Toner is the gentlest I’ve tried. Toners have to be hydrating and non-irritating, and this just leaves my skin feeling quenched. If I could submerge my face into a sink full of this every day, I would feel like a queen! Kiehl’s Creamy Eye Treatment withAvocado goes on straight after, and before anything heavier. I’ve somewhat made peace with my fine lines, but keeping my under eye area hydrated goes a long way in reducing how harsh they appear. REN is my favourite skin care brand. 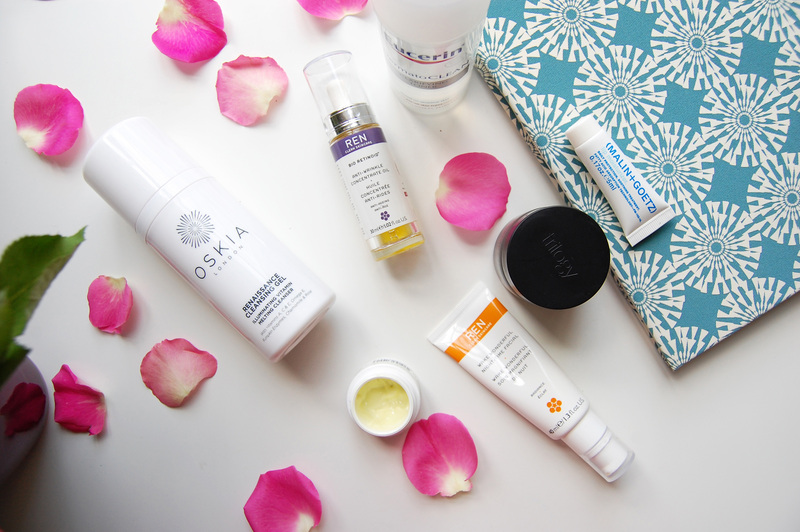 The Bio Retinoid Anti-Wrinkle Concentrate does incredible things! It brightens, helps keep the signs of ageing at bay, and it drastically improves the overall appearance of my skin. It’s also not heavy at all, so I can still add REN’s Wake Up Wonderful Night-Time Facial once a week, for an added boost of hydration. It’s good sleep, a youthful glow, and great nutrition in a tube! Lastly, comes Trilogy’s Age Proof Replenishing Night Cream. It’s laced with Rosehip oil, chamomile, sweet almond, camellia, Aloe Vera and evening primrose oil, amongst a whole host of other skin boosting ingredients, and quite frankly it’s my favourite product I own! As you can tell, I rely heavily on natural oils in my skin care routine, and I also prefer natural, non-irritating and paraben free products. REN’s synthetic retinoid even fits into this category, and I can’t recommend their products enough. So far, I’m also getting along well with Malin+ Goetz’s Lip Moisturiser, another oil rich product. I definitely need an anti-ageing eye and face serum to add to this line-up, so I’ll be doing my research in the next few weeks. If you have any suggestions, I’d love to hear them! 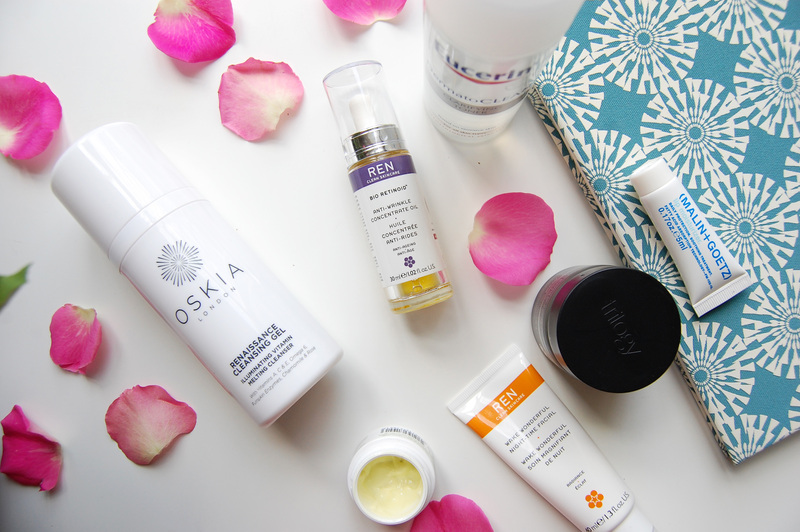 What are your fail-safe products this Spring?